Dive into the Dining Options available at White Bay. 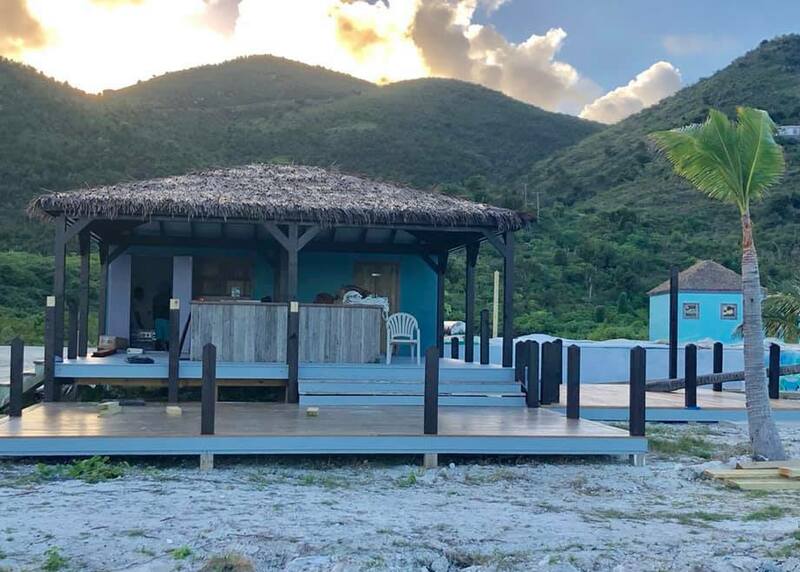 No matter what you are in the mood for, whether it is fresh seafood, pizza, or a liquid diet of Soggy Dollar Bar's world famous Original Painkiller, you will be able to find something to quench your hunger on Jost Van Dyke. Also, if you want to stay in for the night, explore our provision services offered before you arrive so your fridge is stocked and ready for your stay. The Soggy Dollar Bar is a famous daytime hang-out. Mingle with locals and boaters that venture in from St. John and St. Thomas. 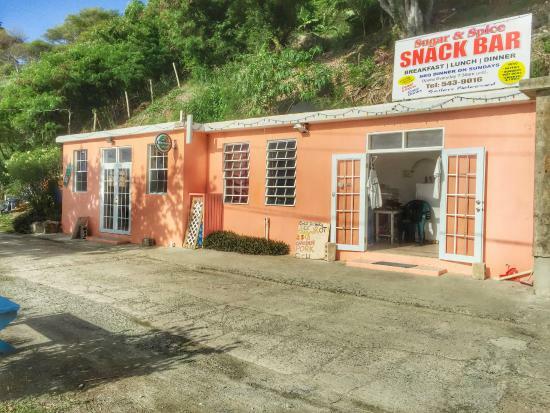 They offer an assortment of luncheon choices including a local favorite, the world-famous Chicken Roti. 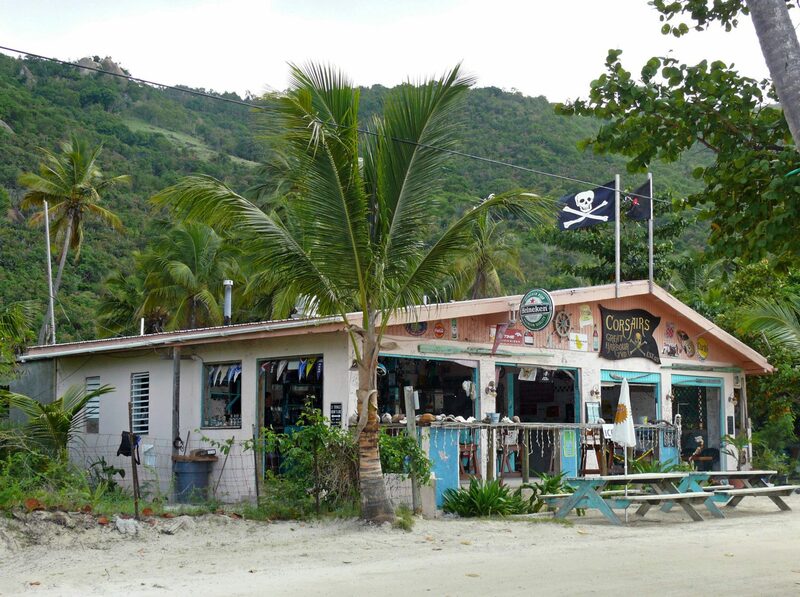 The Soggy Dollar is also home of the “Painkiller”. 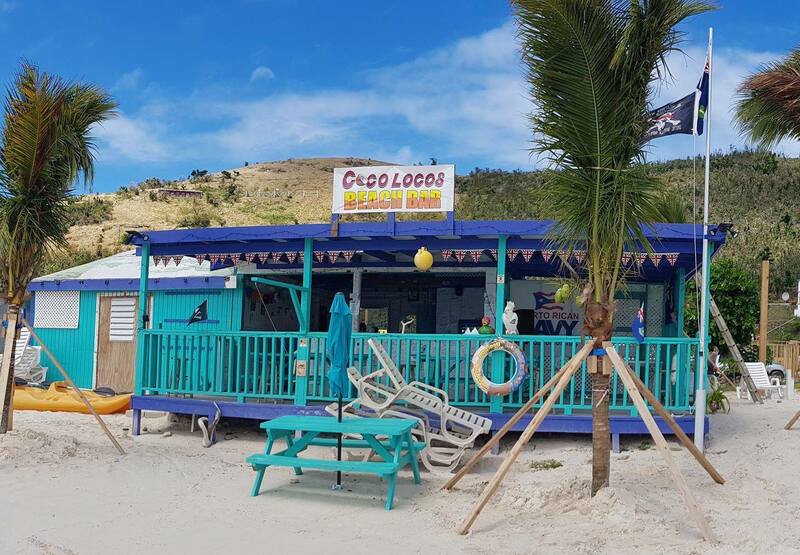 Open daily from 10:00am, serving a variety of the freshest local ingredients on Caribbean inspired menu with the perfect rum punch or painkiller from our beach front bar. Open for dinner Wednesday thru Saturday 10:00am – until. 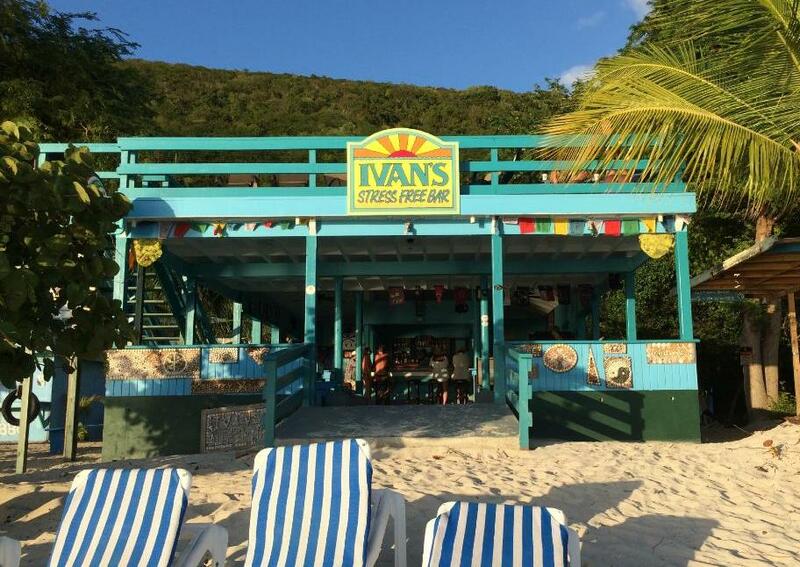 Ivan’s Stress Free Bar is a family owned business and a favorite hangout for locals and visitors in a casual atmosphere. 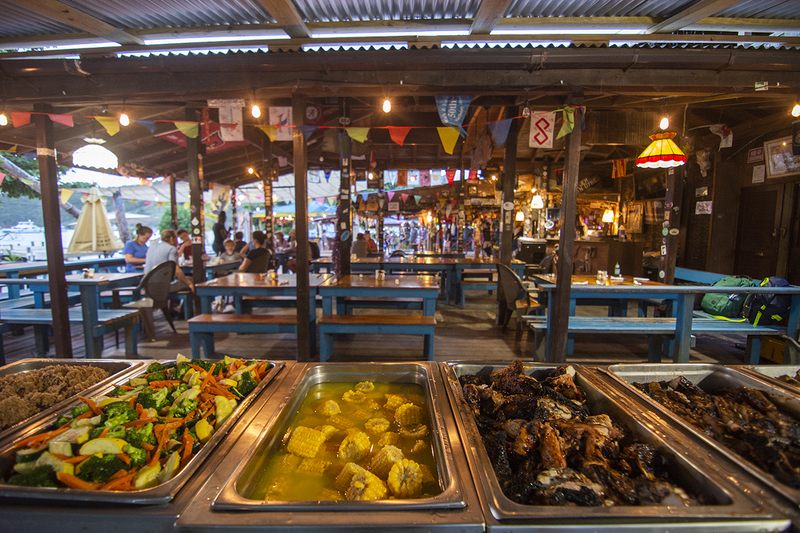 Ivan’s prepares a mouth-watering barbecue every Thursday night during the season serving fresh, delicious fish caught and prepared locally as well as chicken and ribs. Coco Loco Beach Bar and restaurant serving pizza, sandwiches and quesadillas. Lunches only. 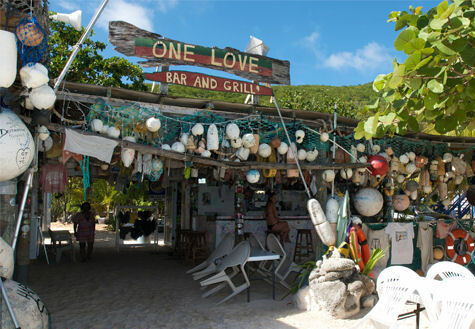 One Love Bar and Grill is a fun local watering hole and hang-out spot. Gertrude’s is a unique beach bar that serves delicious tropical drinks. Foxy’s serves both lunch and dinner. 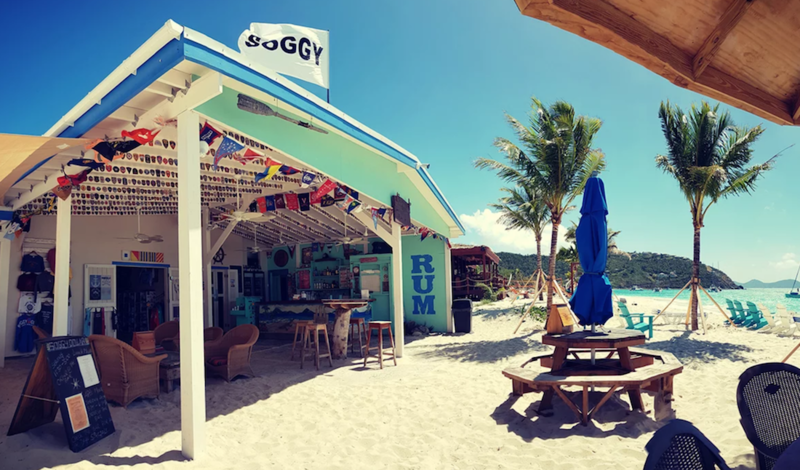 Lunch at Foxy’s is a favorite for many day visitors who come from surrounding islands to tour, shop and just hangout on Jost. Come and have your favorite drink and listen to Foxy sing songs and improvise with his famous stories and comedy. It’s great entertainment for young and old. Dinner is served seven days a week and offers menu selections, including great steaks and seafood. Several nights a week Foxy’s serves a hot buffet featuring local dishes that will definitely satisfy your hunger. Foxy’s is world-famous – reservations strongly suggested. 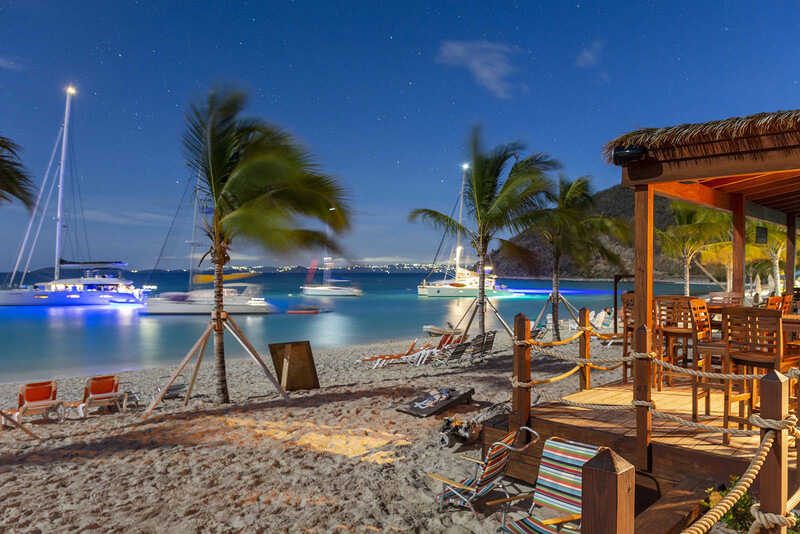 Foxy’s is home to the Jost Van Dyke nightlife with music, dancing and mingling! 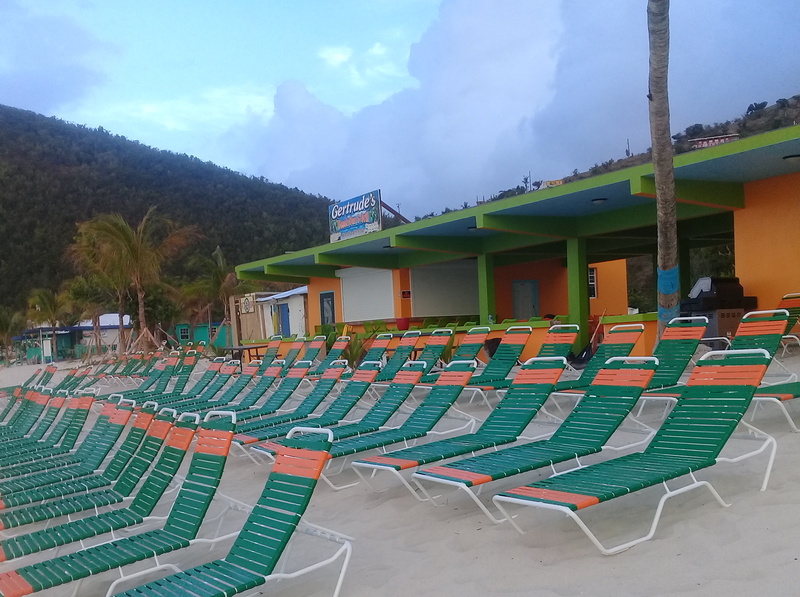 Corsair’s - a relatively new addition to Jost Van Dyke is Corsair's Beach Bar & Restaurant. Corsair's owner, Vinny is a very personable fellow who drives a vintage US army jeep he restored. Vinny is quick with a smile and a story or two. Your chef will whip up a great meal while your bartender, Lena, serves some yummy island style drinks! 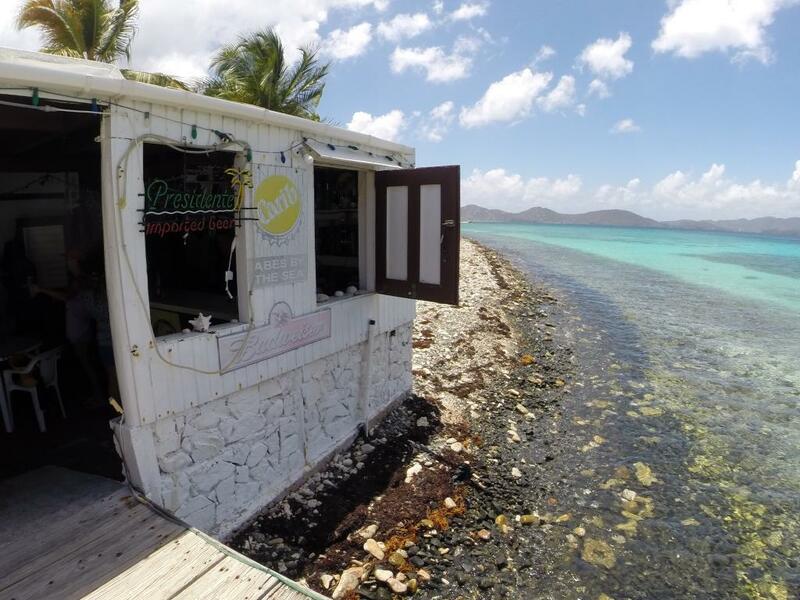 Corsair's specializes in seafood, pasta, Mexican cuisine and a few British Virgin Islands specialties! Further down the road is Ali Baba’s bar and restaurant. 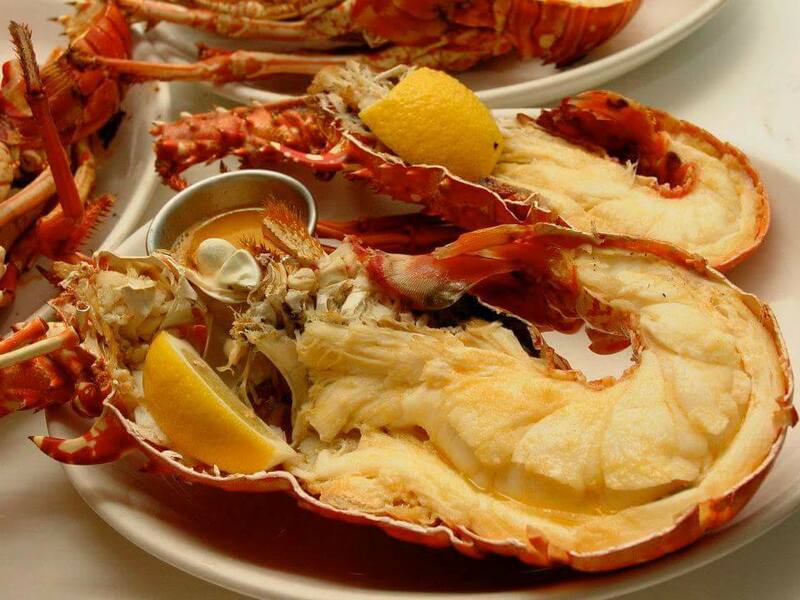 Serving lunch and dinner, you can’t go wrong by ordering the Chicken Roti at lunch or the grilled lobster at dinner. Anything on the daily lunch and dinner menu is tasty. 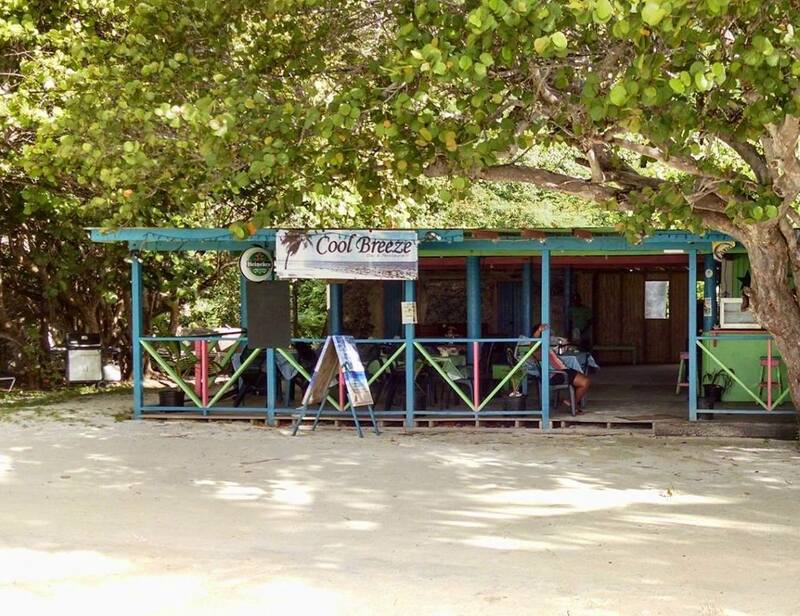 Cool Breeze Bar and Restaurant serving breakfast, lunch, and dinner. Sugar and Spice offers breakfast, lunch, dinner and snacks. Vernita’s offers West Indian lunch and dinner. A & B Snack Bar: Come and enjoy ‘real local cuisine’ and local drinks in a relaxed atmosphere by the sea. Happy Hours! Open ’till late. Christine’s Bakery is a mouth-watering bakery serving daily baked bread, rolls, sweets, and their famous cinnamon buns, as well as home-cooked breakfasts. Come to the local breakfast hang-out in the mornings! They also serve lunch using only fresh-baked breads and rolls – delicious! 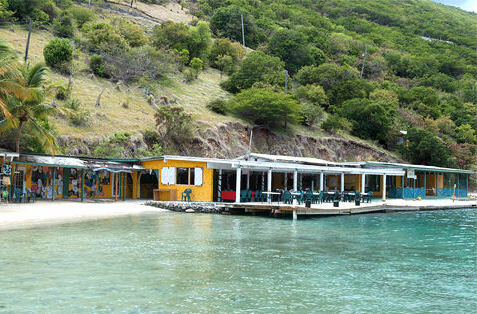 Foxy’s Taboo is located at the eastern end of Jost Van Dyke on the water. It is in a picturesque location and there is a small marina with good dockage. The food is wonderful! 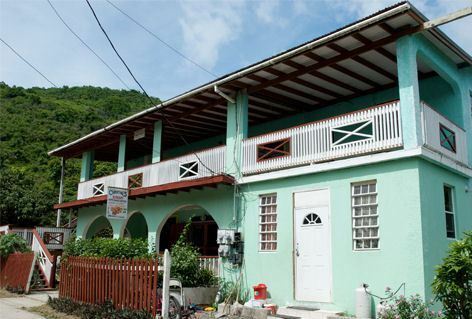 Harris’ Place is a family owned and operated restaurant serving breakfast, lunch and dinner. Specialties include lobster, fish, conch, ribs and chicken. Great food! Fun environment! Sydney’s Peace and Love is a fun establishment that caters to the sailing crowd. They offer great rum drinks (pour your own on the honor system) and the some of the best lobster dinners around. Abe’s by the Sea native bar & restaurant serves fresh lobster, fish, conch, spare ribs and chicken for lunch or dinner. Lobster and pig specials on Wednesday night in season.